German Banks: More Islamic than Islamic Banks? In one of my engagements a couple of years ago, I had the fortune to present my views on the Islamic Banking industry and its challenges in front of an audience in INCEIF. One of the bright participants there had subsequently proceeded to complete her MSc Research and recently gotten in touch with me. I had a read of what she had published, and it is a remarkable piece of academia. I have since asked for her permission to publish it on this site, for the benefits of other readers. Good food for thought. Thank you Ms Rosana Gulzar Mohd, for your allowance to this request. Overall, I find the research quite enlightening and overall accurate. It is also a good reminder of what we still need to achieve to ensure Islamic Banking remains focused and strong for the foreseeable future. Happy reading and do give your constructive feedback on the paper for our discussion. This study, which compares the German system with Malaysia in the hope of improving Islamic finance, uncovers four paradoxes. Germany is chosen because its focus on mutuality and small enterprises, at the expense of profit maximisation, not only embodies the Shariah principles of justice and social welfare but also makes the system more stable. The banks’ profitability and stability between 2006 and 2014 are compared. This covers their performances before, during and after the global financial crisis. The indicators used are the banks’ return on average equity (ROAE), return on average asset (ROAA) and net loan to deposits and short-term funding. While this study finds that Malaysian banks, including Islamic ones, are indeed significantly more profitable and efficient than German banks, it uncovers four paradoxes. Firstly, it is ironical that Malaysian commercial banks are less aggressive than the Germans in their loans-to-deposit ratio. Secondly, the profitability of Malaysian development financial institutions (DFIs) and banking cooperatives are comparable, if not higher, than its commercial banks. Thirdly, the ROAE for Malaysian banking cooperatives rose 41% during the 2008 crisis when other banks’ fell. 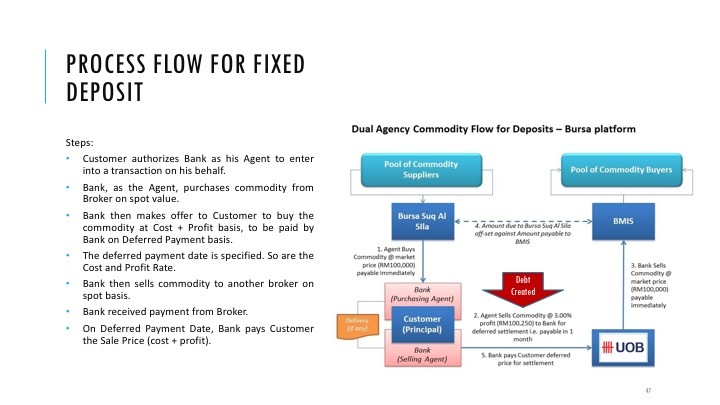 The last paradox is that while Malaysian commercial banks seem prudent in their lending, the DFIs and banking cooperatives are leveraged to an alarming extent. This study concludes with two reform recommendations: a rethink of the economic drivers in Malaysia and a sprucing up of the DFIs and cooperatives’ balance sheets towards national standards.